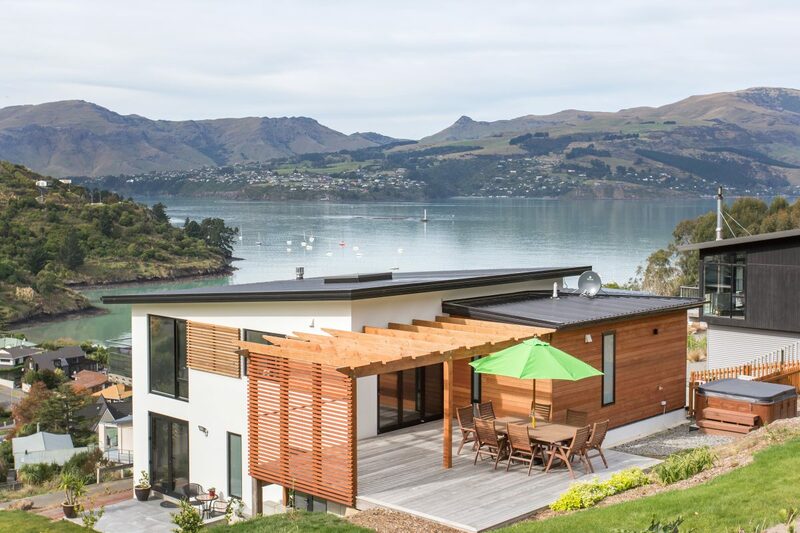 Cass Bay | Hillside Architectural Home | Fleetwood Construction Ltd.
Our clients so admired the award-winning Mariners Cove house that we built in Cass Bay that, when it came to choosing their builder, Fleetwood Construction was their first choice. 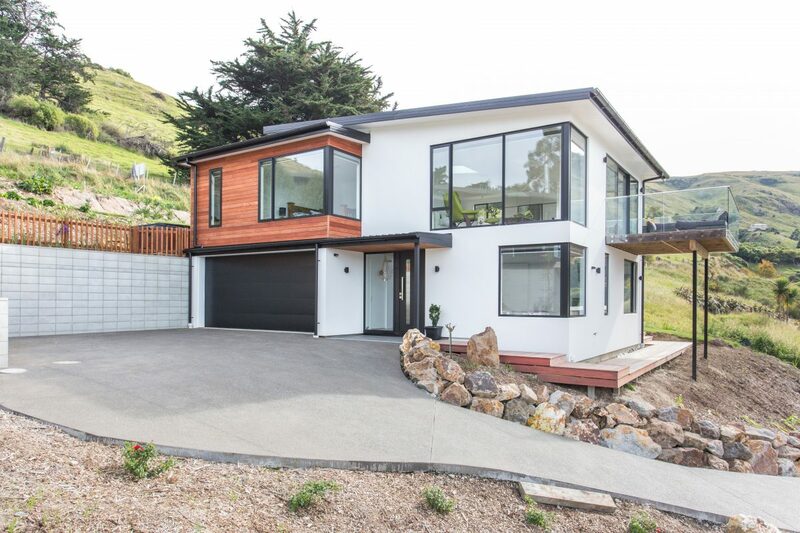 Building an architectural home in this hillside suburb brings some unique challenges. Access for building materials and equipment is often limited and there are extra health and safety considerations. 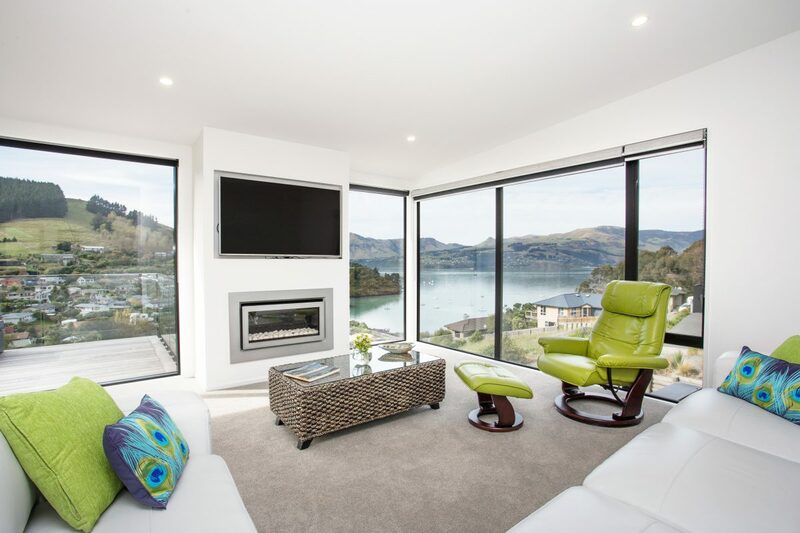 Finding a builder experienced in hill site builds was important to our clients. 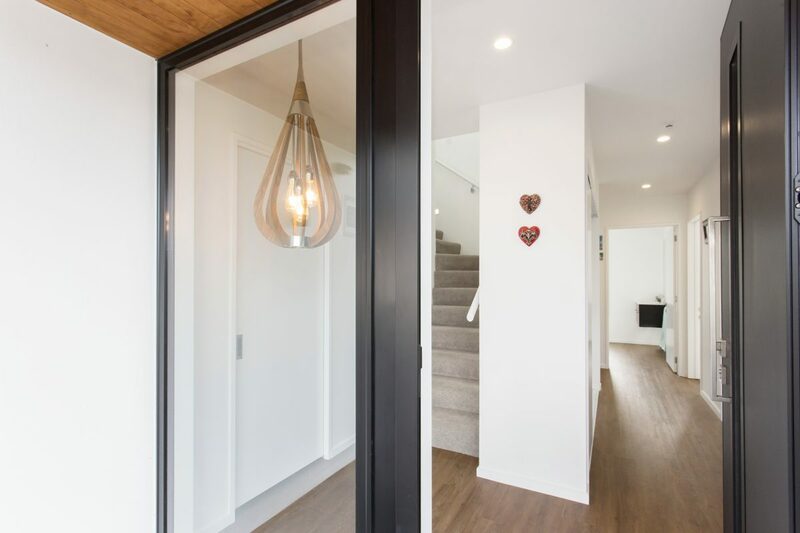 Knowing that Fleetwood Construction could handle whatever their site might throw at us, gave them confidence that we would work with them to successfully build their forever home by the sea. 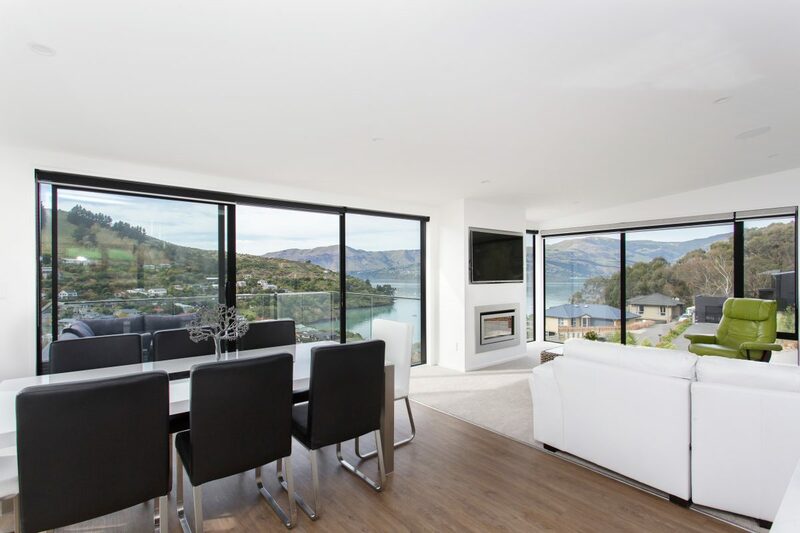 Of course, working in the bayside suburbs is always enjoyable for the Fleetwood Construction team, giving them a chance to enjoy a change of scene from inner city building, and for them to frame the same views our clients so admire. 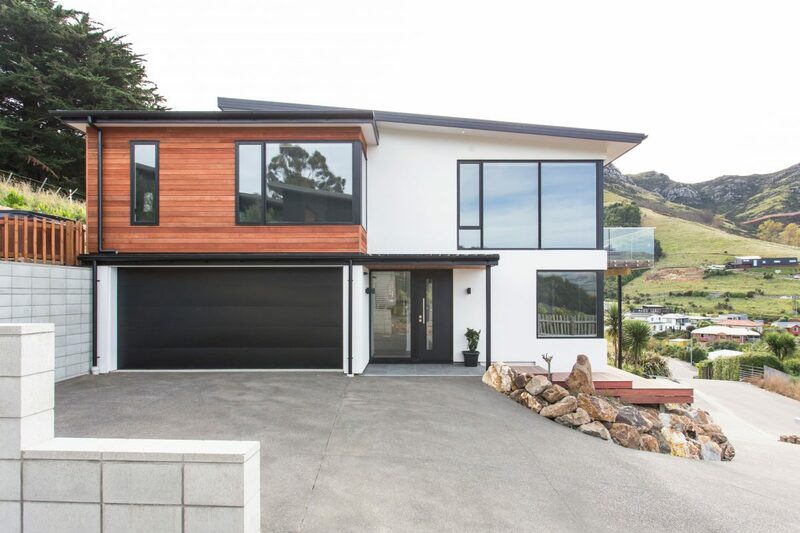 By building the house over two levels, we were able to create an inviting home that makes the most of the Canterbury landscape, with spectacular hill and sea views over Cass Bay. 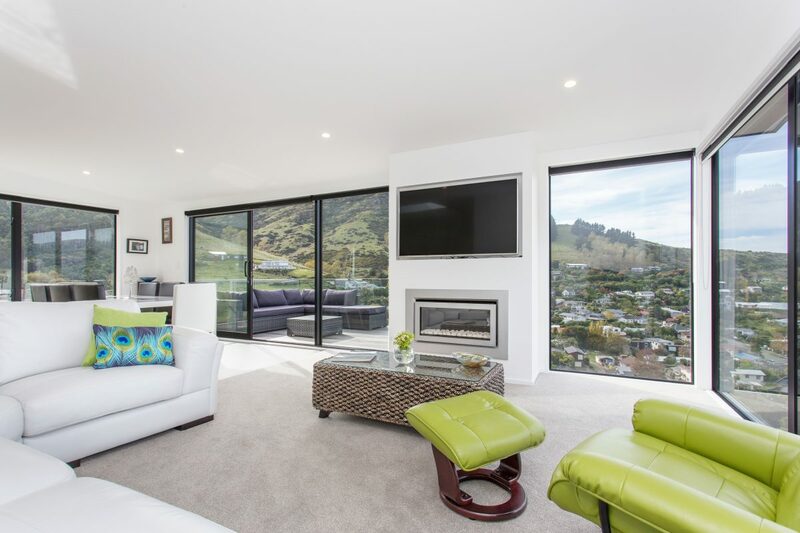 The front entrance, which sits beside a double internal access garage, opens to a short flight of stairs which takes you upstairs to the open plan living area built to frame the stunning Cass Bay views. A gas fire adds to the warm ambience. 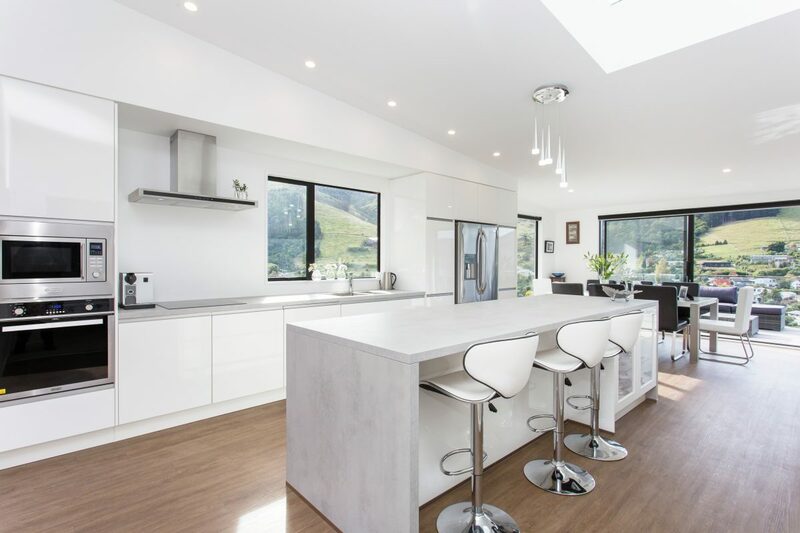 We worked with the clients’ preferred kitchen contractor who installed high-spec appliances and finishes based on a neutral colour scheme which complements the house and its surroundings. This inviting family home has some pleasant surprises. The upstairs master bedroom has its exterior clad in a warm cedar which wraps around as a feature for the front entrance to the house. 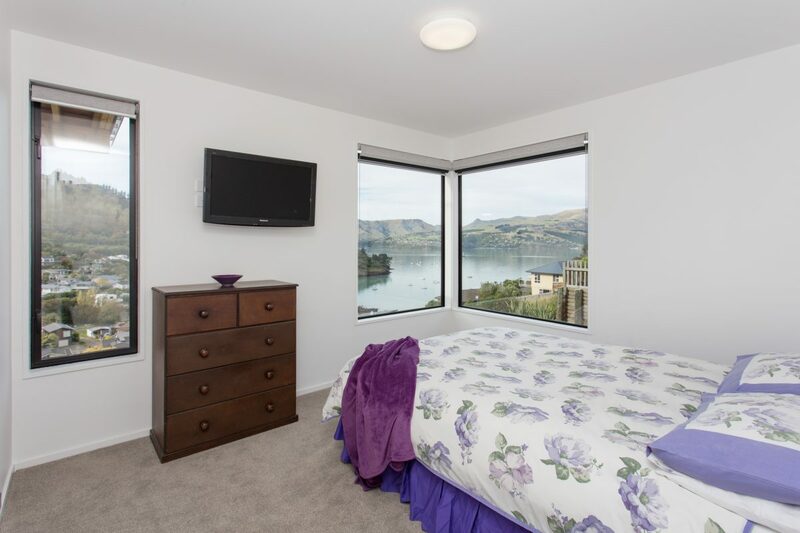 Downstairs, along with three additional bedrooms and a generous family bathroom is a fully self-contained kitchenette which gives house guests the opportunity to look after themselves. Framing the house are two distinct outdoor living areas offering great options for entertaining guests over the warmer months. The front deck looks seaward, while the back patio nestles into the hillside providing shelter from the wind and privacy for the spa pool. 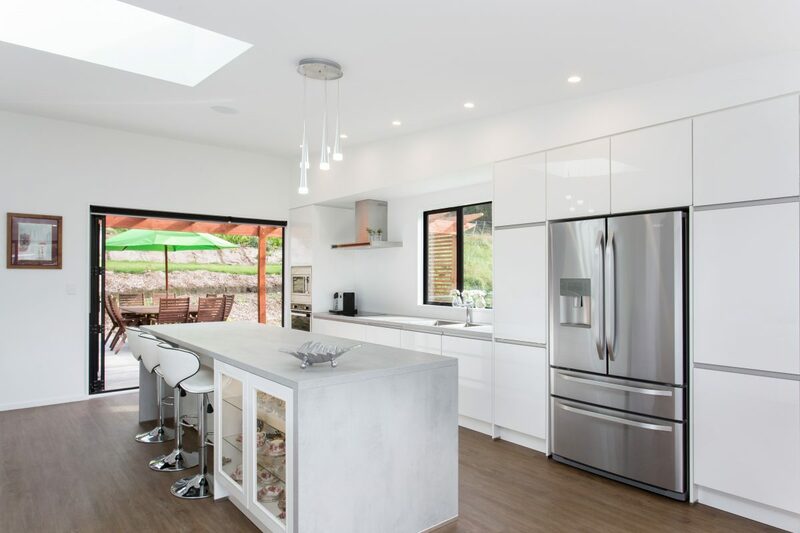 Our client’s desire was a warm, energy efficient home. We installed a hydronic underfloor heating system that met their requirements. 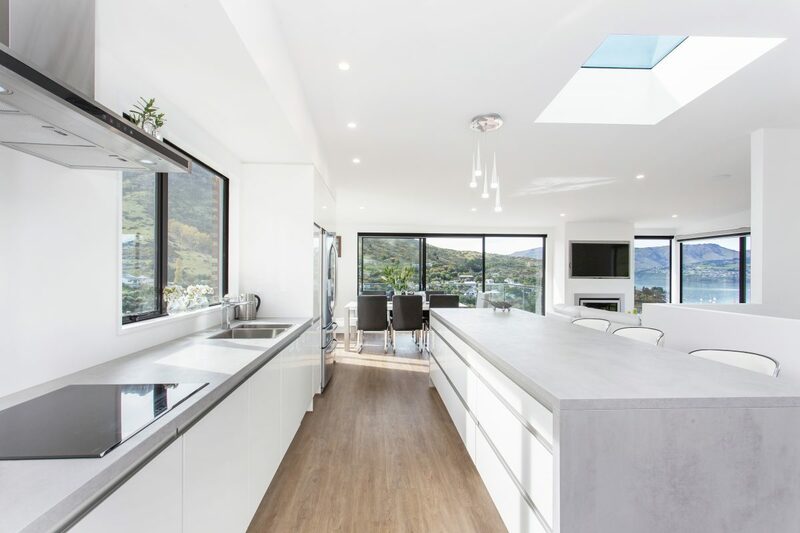 The radiant heat created from the water pipes placed in the concrete slab have made their home environment comfortable, efficient, quiet, clean and healthy. The Fleetwood Construction team takes great pride in how this build was accomplished. 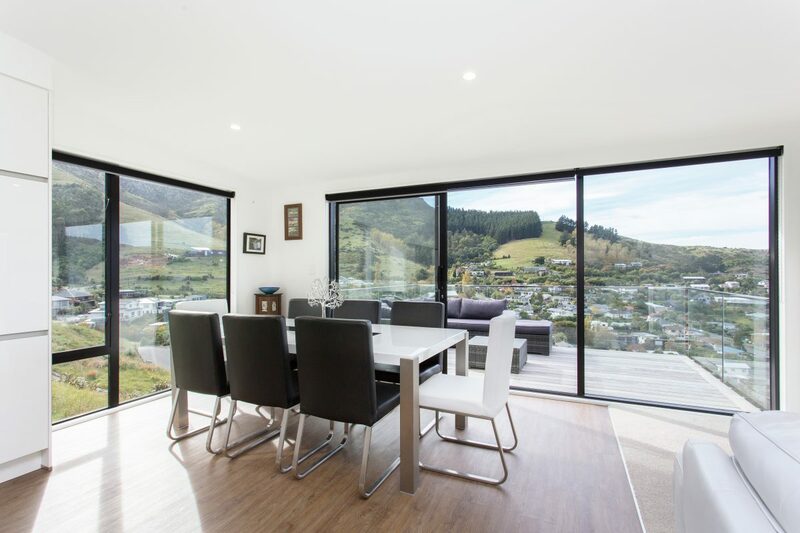 Our clients are impressed by the craftmanship and attention to detail shown by our team and now enjoy a warm, welcoming modern home that makes the most of its beautiful surroundings. The communication from both Sam and Charlotte was excellent, offering us guidance and advice when needed, therefore creating a stress free building process. We would have no hesitation recommending Sam and his team to anyone looking to build a new home.